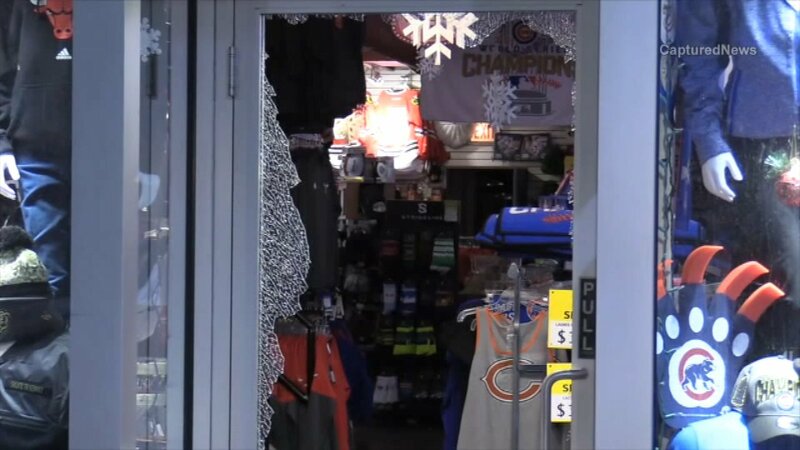 CHICAGO (WLS) -- Someone threw a brick through the front door of a sports store in Chicago's Loop early Friday morning, police said. Officers responded around 4:10 a.m. to the smash-and-grab robbery in the 300-block of North Michigan Avenue. Police said the suspect shattered the glass door at the Chicago Sports and Novelty Store and took the cash register drawer.